UMIDIGI S2 and S2 Pro are 6-inch, 1440 x 720 pixels, Sharp TDDI In-Cell, 2.5D Glass, Gorilla Glass 4. This gadget possess a function in size, compared to other 5.5-inch smartphones, also having 90% screen-to-body ratio. S2 and S2 Pro look exactly alike but are different in terms of processor and RAM. both having Sony dual camera setup at the back. Sensors: Fingerprint, Accelerometer, Proximity, Ambient Light, Gravity, Gyroscope, Magnetometer. 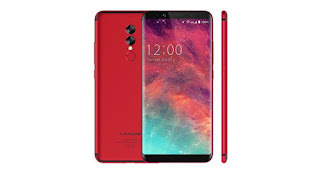 As this phone is just announced yesterday as stated that it will be in market as from the mid of this month, Now the question is - Can you go for this product with the specs it possess? Soup wey sweet, Na money kill am.